The Guardian reported that the 32-year-old Indonesian man, known as Aka, claimed that he created a "new and rare" version of durian by crossbreeding two superior durian types from different parts of the country. Aka, a psychology major, decided to name his durian variety as "J-Queen". "My intention is to improve the welfare of farmers by creating superior durians," Aka was quoted as saying by The Guardian. 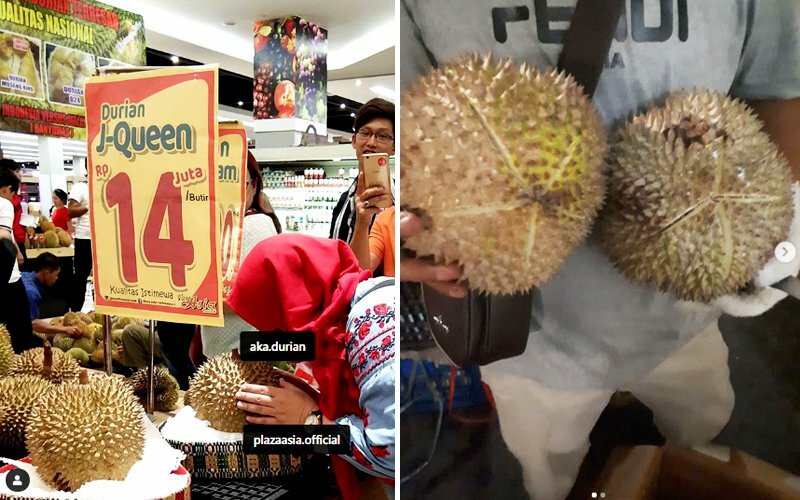 Free Malaysia Today reported that the durians were on sale at Plaza Asia, Tasikmalaya in Indonesia. An Indonesian culinary channel, Solodelicious, claimed that the "J-Queen" durians won a contest in Penang. However, it remains unclear when the contest was held. According to The Guardian, locals also flocked to the shopping centre to see the fruit for themselves after hearing about its price tag. Aka also alleged that fruit from his durian variety is "round and yellow gold", according to The Guardian. It even has a "peanut and butter taste" to it. Free Malaysia Today reported Aka as saying that one "J-Queen" tree grows 20 "perfect" durians. Nonetheless, Java farmers claim that they have not heard of Aka's "J-Queen" durian variety. The most rare Indonesian durians – the Montong and Kumbokarno variants – have a price tag of IDR200,000 (approximately RM59). 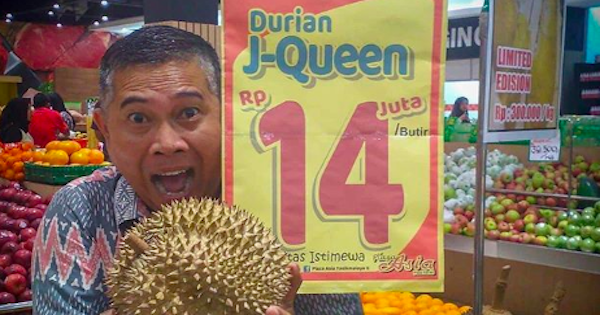 Would you buy the "J-Queen" durian? Let us know in the comments below! The female officer was praised for remaining patient throughout the incident. The law is being drafted following several cases of rental discrimination in Malaysia.